Hsiung Feng (Brave Wind) 2E cruise missile is now in mass production and has been deployed. Cloud Peak is under development and expected to enter serial production in 2014. 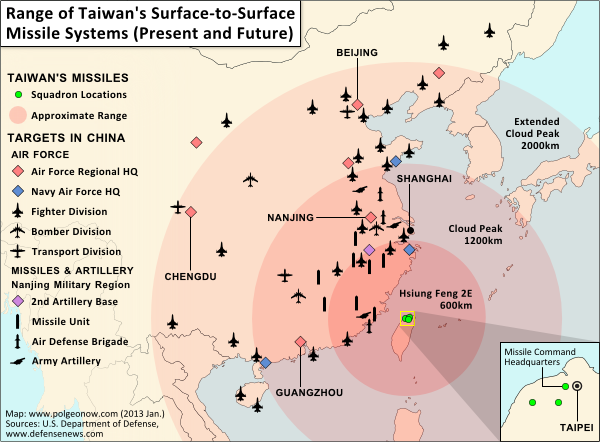 Map was created for Taiwan in Perspective by Evan Centanni, author of Political Geography Now.